Welcome to the newest Tall Mom Bloggy Pack Members!!! Did you know that when the sun hit the Slug Slime on the pavement it shimmers? Sparkles like glitter.. Well it does and it is pretty cool.. I felt a bit like a Slug yesterday, not wanting to run AGAIN without an Ipod. It is so quiet being stuck with my own thoughts on the run. But I got out there and did 4.1 miles of leafy goodness!! The first 3 miles were GREAT!! The last mile I felt like I was running in sand, very WEIRD. Tomorrow at this time I will be in RRCA coaching class. I am sure I will come out much wiser :) One can hope right.. I am trying to pull together a HIGH FIVE for all you busting out major miles on 10-10-10. Please comment or send me an email so I don't miss you..
Wishing I would be in Portland this weekend. Must move there one day soon!! I'll be running Portland this weekend!! First marathon, giving me butterflies just saying that! I hope you have fun observing this weekend! ADP and I are running a half this weekend. ADP's first. I will be in chi town pacing hubby. I am so nervous I might barf. Running my first marathon in Victoria, BC this Sunday! Yay! Good job getting through your 4 with no Ipod! Have fun this weekend! I'll be there cheering too! No racing plans this weekend - good luck to all the 10/10/10 peeps! And good luck to you in your class!!!! I'm sure I will see you in Portland somewhere! Coach is dying to meet the infamous "Tall Mom" that I have been talking about for months. Won't he be embarassed when you are taller than him! Good luck at your coaching class, don't forget a pencil! I would hate to have to run without my ipod! YIKES!! You are so good! I just got certified this past month. If Patti and Warren are your instructors, tell them hello for me. Take lots of notes (the test is MOSTLY from your notes, not the book - hint, hint), and soak it all in. I learned SO much!! Have fun! Have fun at the coaching class - looking forwar to hearing your new wise words! I'm running the Goodlife Victoria Marathon on 10-10-10. It's my first marathon! Eek! Wanna hear all about the RRCA class. I'm taking one in January and I'm mortified of feeling like an idiot! Good luck with Day 1 of your coaching session! have fun in your class! Have fun with the class! I took that class about a month ago and really liked it! Now, I'm a certified RRCA coach! Yay! Running the Tufts 10K for Women on 10/11 - my first 10k and the next step towards my first half! Have a great time at your class! I'll be running the roads of Portland on Sunday!! Hope to see you out there! good luck at hte RRCA training! i wish they had one closer to us! enjoy! Mel...you will make a GREAT coach! 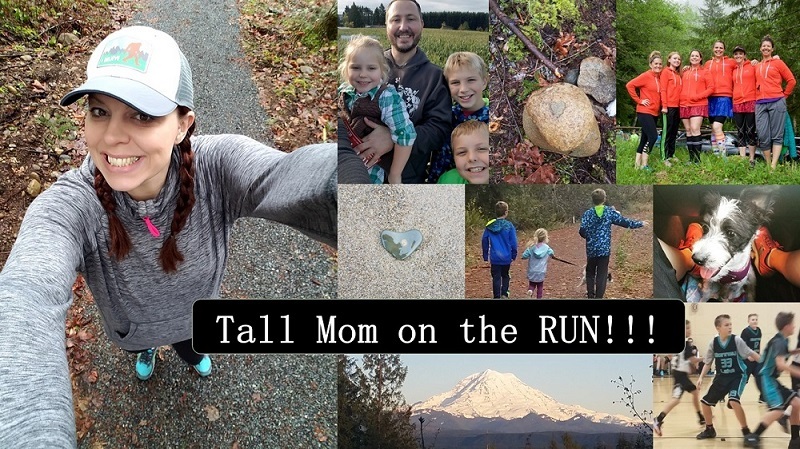 I am doing a 17 mile training run on Saturday and then the Eugene Race for the Cure on Sunday!